God chooses YOU! Yes, you. He chooses you from all of the other lumps of clay and chooses to turn you into a beautiful vessel—a work of art and purpose. This summer I spent hours filming an award-winning master potter turn a lump of Lizella clay into a beautiful work of art—a traditional Cherokee cooking pot. 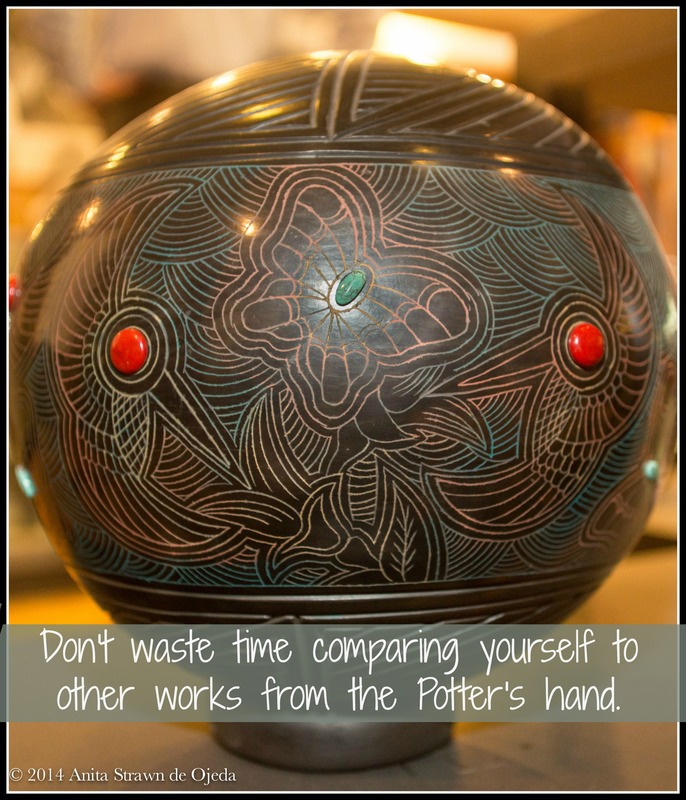 I have seen potters work before—on television and in movies—but I have never seen a potter in real life. What I witnessed surprised me and made me think. I watched the potter choose a nondescript square of brown from his stock of clay and carefully slice off a chunk. He pounded it and warmed it in his hands and while I looked around for a potter’s wheel, he pulled out a rolling pin. He explained his process, and started to roll out the lump of clay and once it met his specifications, he placed it inside a bowl. Again, not what I expected. As he pressed the clay into the bowl, he explained that without a potter’s wheel, his ancestors most likely used rocks or stone bowls to create a form for their cooking pots. I thought it looked more like a pizza crust than a cooking pot. After rolling out a strip and using water to attach it to the clay in the bowl, I could see a pot taking shape—but it still didn’t look like the promised end result. When the potter added a second strip of clay, and carefully formed the lip of the cooking pot, I could finally see the promise. The potter prodded, pounded, smoothed and then slapped the upper part of the cooking pot with a stamp paddle—after which he instructed us to come back tomorrow when the pot would be dry enough to work with, but not so hard that it would lose its malleability. Life interrupted the plans, and it took three days to return to the potter’s studio. But the potter knew about the interruption, and he kept the pot covered so that it would not dry too fast. When he finally slipped the pot out of the bowl, it still didn’t look like much. It had form and shape and looked like a pot, but it still lacked something. Once again, the potter used a wooden paddle to stamp the rest of the pot, than he prodded and poked some more and the pot seemed to magically take the shape of an elegant traditional cooking pot—slightly conical and completely beautiful. “Come back in two days,” he said, “and we’ll fire the pot.” When we returned, the potter placed the pot upside down in a barrel balanced on bricks and surrounded the pot with wood. He built a fire under the barrel, and lit it. As the flames engulfed the wood underneath the barrel, they leapt up through the holes in the bottom of the barrel and caught the wood surrounding the pot on fire. As the heat from the fire beneath and the fire within rose, the clay of the pot vitrified and became a solid that would not only withstand further heat, but it would hold water and provide a useful service to whoever owned it. 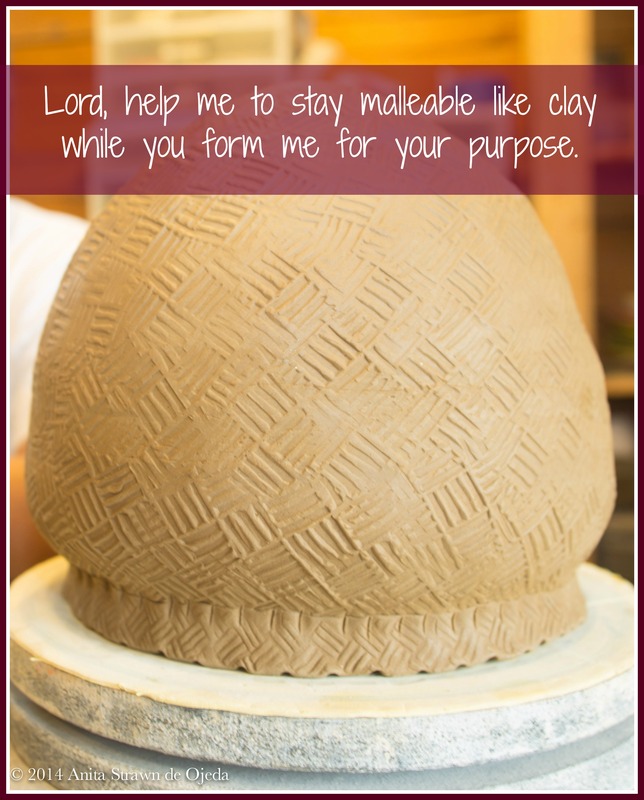 As I left the pottery studio, I pondered the process the potter used. He chose a lump of clay. He formed it though a variety of methods, depending on the end result he had in mind. He used more than one tool to achieve his purpose. Turning clay into something useful takes time, patience and heat (not to mention skill and artistry). 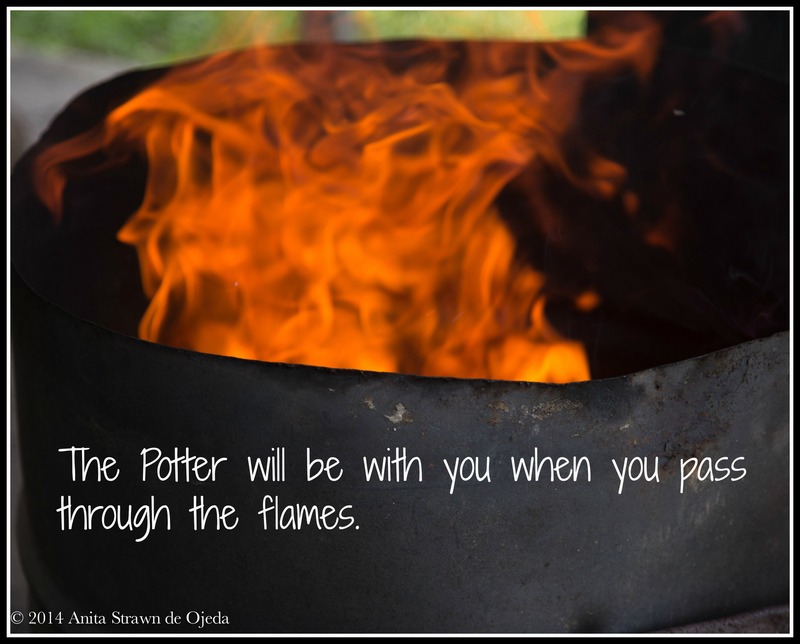 How often do I resent the process the Heavenly Potter puts me though? I want to go from a lump of clay to a beautiful serving dish or objet d’art (notice how I want to choose my final purpose?). 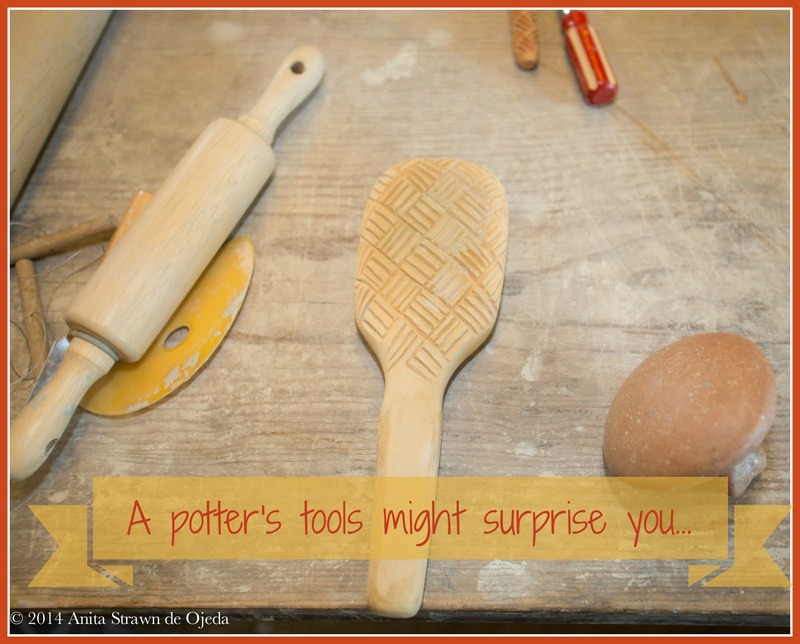 But potters don’t work that way—earthly or heavenly. 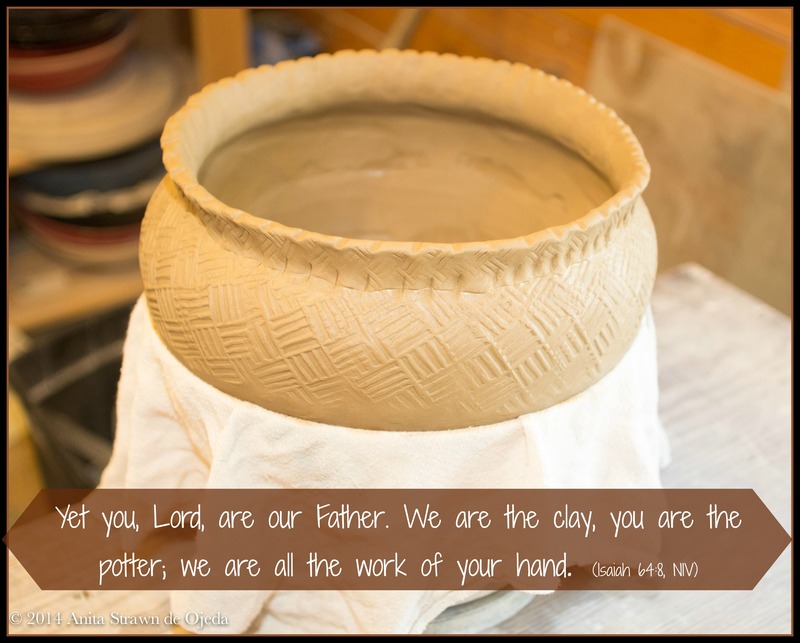 So you see, my friend, when the Bible tells us that we are the clay and God is the potter, it’s explaining a relational process that takes time. (tweet this) Most importantly, we must understand that God chooses us. It’s not easy. But it’s comforting to know that we are chosen.